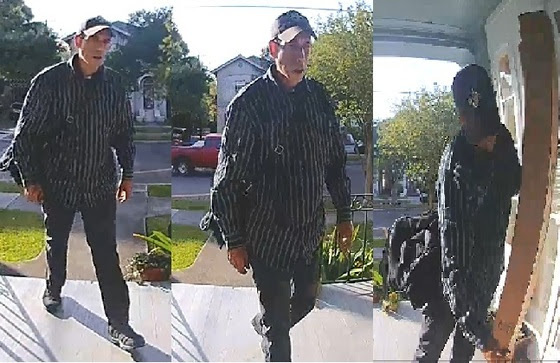 The NOPD is searching for a subject wanted for package theft in the Carrollton area. The incident occurred on Feb. 17 around 3 p.m. in the 1500 block of Fern Street. 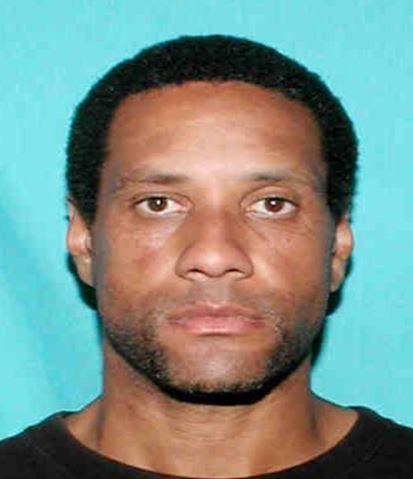 Police have identified a man captured on security camera video as Zachary Winfield, 47. He is accused of stealing a package containing Bare Minerals makeup from a front porch. This black Volkswagen Golf had a hubcap missing on the rear passenger side. 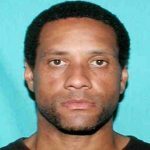 New Orleans police are searching for a suspect in connection with a package theft from an Irish Channel front porch. 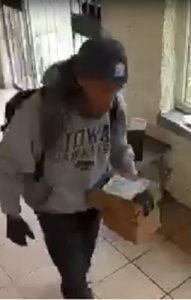 The NOPD is seeking to identify and locate an individual seen on video surveillance in commission of a package theft in the 1200 block of Broadway, near Tulane University, on Feb. 8. At 2:27 p.m., the man shown at the right entered the enclosed front porch of the victim’s residence, the video shows. He removed three unopened packages from the porch, then fled on foot in an unknown direction. 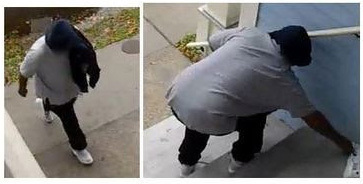 The NOPD is investigating the theft of a package from a residence in the 600 block of Arabella Street that occurred on Feb. 2. At about 11:30 p.m., a man, pictured above, entered the victim’s front yard and stole a package containing a suit case and dog toys.